I am sorry about the current attempt to impeach the Chief Justice, since it seems to me rather like taking a sledgehammer to crack a nut. What makes it worse is that those responsible for the impeachment motion seem to be going after the wrong nut. Over the last year, in trying to expedite implementation of the National Human Rights Action Plan, I noted many problems arising from the failure of the judiciary to establish norms with regard to the processes entrusted to them. I sent several letters on this subject, to the Chief Justice as well as the Judicial Services Commission, but initially received only dusty replies, ie claims that the responsibility was not theirs. Recently though – and this may reflect the fact that the Judiciary realized it could not go on in an ivory tower with no regard for basic human problems – I got more positive answers, and most notably the assertion that advice had been given to the magistracy with regard to rulings. However my subsequent request, that that advice be made public, has been thus far ignored. I am sorry about this, because the public has a right to know the norms under which judgments and sentencing are imposed. We had also, at meetings of the Task Force on the Plan which I convene, suggested meetings to ensure that magistrates were more careful about fulfilling their responsibilities, not only with regard to sentencing, but also for visiting prisons and remand homes. This happened rarely, though I should also note the commitment of a few members of the judiciary who did take such responsibilities seriously. Having been away during the visit of my old friend Robert Blake, I was surprised at the very different interpretations of what he had said. One email I got asked what I made of efforts to renew charges of war crimes. Though it was not clear whether this referred to Blake’s pronouncements, I was also told on return that he had basically read the riot act, and said that there would be a much tougher resolution on Sri Lanka in Geneva next March unless we did better. What the United States wants then seems clear. Unfortunately, following the debacle in Geneva, and what we were told by Foreign Ministry sources was a decision to cleave to the West, there was an assumption that all was well and, since we were firmly allied to the West, we would not be persecuted again. This is a nonsensical view, though not unexpected in those who think international relations are conducted on the ‘machang’ basis that now seems to characterize many policy decisions. Clearly there are principles that we need to uphold, and we must work systematically to assert their primacy, and make it clear we are doing this. In particular we need, as we have often pledged, to strengthen our human rights mechanisms, and we need to move swiftly on implementing the LLRC Recommendations, at least as approved by Cabinet. The National Action Plan for the Protection and Promotion of Human Rights 2011 – 2016 as well as the full series of Sri Lanka Rights Watch are available at the Peace & Reconciliation Website. The first part of the LLRC Action Plan deals with what are termed International Humanitarian Law Issues, which may create the wrong impression given the excessive attention focused on what are termed war crimes by some national and international critics of the government. This is a pity because what I would term general Human Rights issues figure here, and these should be dealt with swiftly and constructively. The need to stop abductions and enforced disappearances is widely recognized, and steps must be taken to prevent such happenings, and to both investigate and prosecute when wrongdoing is apparent. If such wrongdoing is on the part of the state, or forces associated with the state, it is even more important to act decisively, and restore confidence in law enforcement agencies. To confuse this with dealing with war crimes is a mistake, and might prevent swift action. The LLRC made clear that it did not think there was good reason to assume war crimes had been committed, though it does note that there should be further investigation of complaints based on specific incidents. The specific incidents it does describe are those connected with disappearances after surrender or arrest. These should not be confused with the conduct of the war, but relate to the wider phenomenon as to which we still hear allegations, though few of these now, it seems relate to Tamils. THE UN is under pressure to expose Sri Lanka’s failure to improve its human rights record when it scrutinises the country’s progress in a four-year review tomorrow. The Sri Lankan government has said it is prepared for the review and has sent a high-powered delegation to Geneva for tomorrow’s sitting in which almost 100 countries have signalled their desire to question the nation over its rights record. But submissions from Human Rights Watch and Amnesty International have criticised the government’s failure since the 2008 review – when the military was still embroiled in a civil conflict with Tamil rebels – to improve human rights and address disappearances and extra-judicial killings. Other civil society groups in their submissions for this week’s UN review allege the government has failed to make any progress on political reconciliation or address the harassment and even murder of human rights workers and journalists.A UN panel of experts last year found up to 40,000 civilians had been killed in the last months of the war, that the military had systematically shelled designated no-fire zones, and that Tamil Tigers had used civilians as human shields and shot others who tried to escape the conflict zone. “We have ended a war but we have not moved to address the causes of conflict or the malaise of governance in general,” Sri Lanka’s Centre for Policy Alternatives director Paikiasothy Saravanamuttu said yesterday. Sri Lanka will face a further, more crucial UN review in March when the High Commissioner on Human Rights will report on whether the government should be offered international assistance to implement recommendations from its own Lessons Learned and Reconciliation Committee, which investigated the failure of the 2002 ceasefire and alleged war crimes committed during the 26-year war. Rajiva Wijesinha, a reconciliation adviser to President Mahinda Rajapakse, yesterday acknowledged the government “can do better” on human rights, including more thorough investigations of journalist killings and torture allegations. But he said the government had made considerable progress in resettling many thousands of families since the war ended in May 2009. “I think many of the concerns of the 2008 review have been tackled reasonably well but there are remaining concerns, and we also need to work more quickly on implementing the recommendations of the LLRC and indeed the National Human Rights Plan,” he said. Three months of agonising wait is finally over for tens of thousands of youth in the higher strata of our educational system, now that the so-called ‘university crisis’ is deemed to have ended, and our dons have decided to resume their routine duties. Many among them would like us to know that had it not been for their patriotic zeal they would have left Sri Lanka to sell their brains in far more lucrative markets. Mighty decent of them. In fairness to this fraternity I should say that it has seldom resorted to politically confrontational trade union action, and, until a few weeks back, never took to the streets to win their demands. This time around, they mobilised considerable public support for their cause, mainly by misrepresenting their case and camouflaging their objective. They appear to have been so persuasive that even some of the sternest critics of higher education including those of the media did not (as far as I am aware) really challenge the legitimacy of the FUTA agitation for higher salaries, leave alone its other demands and claims relating to imperilled free education, inadequacy of government spending on education, university autonomy, and the brain-drain. The FUTA strike, however, did produce a vibrant public discussion that extended over some of these demands and claims. Among the contributions by the university staff to the discussion (some of which vividly but unintentionally illustrated the crux of the real crisis in higher education) there were the attempts to present the university teachers’ perspectives on issues such as the loss of scholarly talents due to low salaries, how enhanced university grants could be used for elevating the quality of higher education (Jayadeva Uyangoda in The Island of 3 October 2012), and why politicians should not interfere in university affairs. There were, in addition, the more focused inputs by intellectuals outside the university system which undoubtedly enriched the quality of the discussion. Those among them that were particularly useful were the commentary on the ‘Trade Union Action by FUTA’ by Jayantha Dhanapala and Savitri Goonesekere (The Island, 8 October 2012), and Usvatte-aratchi’s clarification titled ‘Expenditure on Education’ (Sunday Island, 14 October 2010). The frequent references by the FUTA to large numbers of unfilled cadre vacancies in the universities, presumably as evidence of the inability of the universities to attract suitably qualified persons to their staff, were placed in proper perspective by Rajiva Wijesinha (The Island, 10 October 2012 https://rajivawijesinha.wordpress.com/2012/10/14/wasting-the-money-allocated-to-education/#more-5374) whose data indicated that, at least in some of the faculties and departments of study he has specifically referred to, the need of the hour is retrenchment rather than recruitment. And, had the FUTA heeded the advice given by Erik de Silva fairly early in the proceedings (The Island of 13 September 2012) it could have avoided persisting with the blunder of demanding an increase of government expenditure on education to 6% of the GDP. 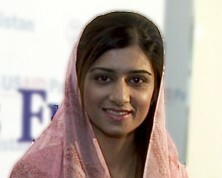 I was privileged, at the recent South Asia Economic Summit, to hear Hina Rabbani Khar, the Pakistani Foreign Minister, an extremely attractive young lady of what seemed enormous intelligence. She was quite definite in her commitment to greater regional cooperation, and in particular to improving trade and connectivity, in particular with India. I was reminded then of reports of the visit of the Indian Foreign Minister to Islamabad. Mr Krishna is an old man, but also very wise, and very kindly it seemed, in the meeting we had with him last year, when a Parliamentary delegation visited India. I could imagine he and his Pakistani counterpart had got on very well, given the combination of charm and intelligence that both evince – which sadly we in Sri Lanka have not yet understood have to go together, thinking one or the other enough, with disastrous consequences. Hina Rabbani forcefully made the point that all major parties in Pakistan understood the need for good relations with their neighbours and in particular India. Peace within, she noted, would only come when there was peace outside. Given the abuse of the Pakistani people by interest groups, both internal and external, pursuing their own selfish agendas, abuse that sadly many Pakistanis promoted given their own political predilections, it was a relief to feel that current policy was based on promoting common interests.